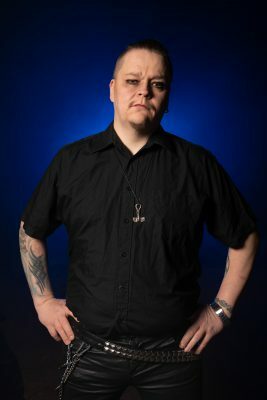 I was born 25th of February 1978 in the cold northern town Kajaani to be bullied by my sister. Music came in to my life when I was in kindergarten around 83 or 84. I remember hearing Finnish schlager Känkkäränkkä by Mikko Alatalo (I actually don’t know what the song is called in english, but maybe a good way to describe it would be a child that has serious tantrums?). Back then I also heard another legendary Finnish artist Irwin Goodman. I remember that I had a little showel that I used to play with in the sandbox and used it as a guitar and everybody else laughed and thought I was funny, but to me it was something I really wanted to do. It was the birth of the rocker. We didn’t have any instruments at home. My sister, about 10 years older than me got an acoustic as a present and it “haunted” in the corner for a long time, so I took it. At first it felt strange. I mean, pushing somewhere on the fretboard and generate a sound by accident. It was so cool to achieve something like that. In 1986 my parents divorced and I moved in with my mom. The acoustic guitar moved with me and I was still practising everyday. I remember the summer of 1986 when I was at a local gas station and saw this cassette that had KISS logo on it. I was sold right away. I saved away all my weekly allowances and bought the cassette. I listened to it, and the band had this magic that I just couldn’t explain. Since then I saved all my money and bought more of the bands merchandise and I still own the collectables. I still practised but it felt like I wasn’t going anywhere with it, but still kept on practising. Back in ’92. Like I said, I slept with my guitar. 5 years passed and my friends got instruments too and we formed our first band called Pervopojat (Pervert Boys in english. Don’t ask) and later changed the name to Mekkala (Hullabaloo would probably be the right word). I played the guitar and occasionally bass. The guitar I played back then was Stagg SG and I played songs by KISS a lot. My father painted the guitar green (brown before) and it became the apple of my eye. 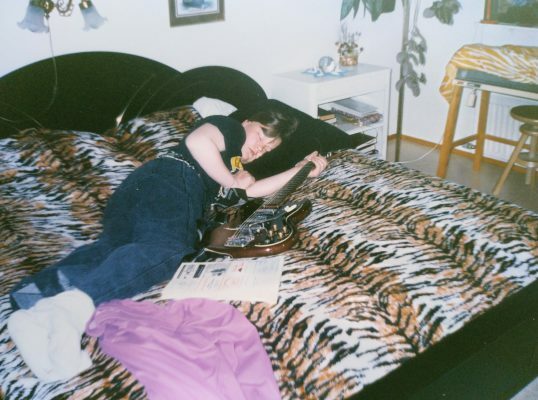 I even slept with the guitar. The years passed by and I only played the guitar occasionally. I got my own apartment in 2000 and my musical taste changed even more heavy back then. I still played the guitar but not as much as I used to. I joined a band called Tippuri (gonorrhea), that played cover songs of a Finnish band called Klamydia. The “bassbug” had bit me back then. I played with Tippuri for four years and after that I formed a band called Devilenze. The year was 2012. Unfortunately we didn’t play any shows since the band just withered away slowly but we formed a new, more thrashier band called Attack. Attack played around 20 shows (give or take). In addition to Attack I played in a band called The Cojones. The Cojones played cover songs by the legendary punk band Ramones. And that’s not all. We formed a cover band called Get Heavy (80’s and 90’s hits) with a bunch of dear friends and I currently play in the band. In 2016 I moved to Kempele. I didn’t have any bands for a long time after moving to Kempele, though, through tryouts I was chosen to a couple of bands but I felt like the music wasn’t to my taste and I quit. 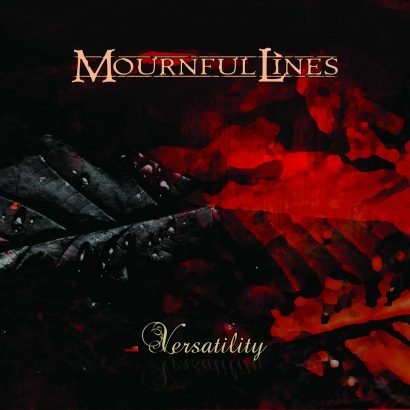 I put an open recruitment to muusikoiden.net, and Markus Jussila contacted me and I was chosen to be the bass player to Mournful Lines.